The Jaz and Jesse Duo is the perfect match for a ceremony or canapés section of your wedding. Providing relaxed and ambient background music while guests arrive before a ceremony, or mingle and celebrate with a champagne during the canapés hour, Jaz and Jesse tailor their music to fit the atmosphere of any moment during your day. The Jaz and Jesse Trio comes in a variety of forms, incorporating either a Double Bass or Cajon player. The addition of an extra instrument creates a more buoyant and energetic feel to the music. 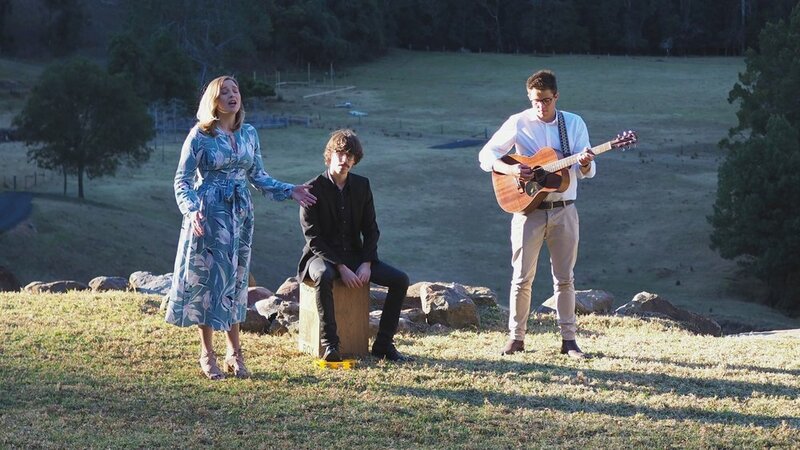 With luscious 3-part harmonies, the Jaz and Jesse Trio have the the look, sound and feel of a gentle band for your wedding. The Jaz and Jesse Band are the perfect choice for creating that energetic atmosphere needed to get guests up on their feet and dancing! When booking the band is totally customisable - you have the option of incorporating any combo of instruments including vocals, guitar, bass, keyboard, horns and drums. With their repertoire comprising of everything from the Classics to Top 100 Hits, the Jaz and Jesse Band will make sure the music doesn’t stop until you want it to!